USD105 10 people have to sign up for there to be a tour!! Please wait for others to go, if you are less than 10 people! Jeonju: The culturally abundant city of Jeonju can be found in the middle of the Korean peninsula. This historical city dates back to the Baekje Kingdom. Gyeon Hwon founded the nation after the dissolution of the three kingdoms in 892. Jeonju became the capital city, and provided present day Jeonju full of many treasures including a Traditional Korean village. It is recommended that tourists visiting Jeonju, begin at this unique village. The village area includes a traditional hot spring and is surrounded by many popular tourist spots. Gunsan of Jeollabuk-do is a city with one of the richest modern cultural heritages in all of Korea. Following the opening of its port in 1899, the city became a hub of modern cultural heritage from the Japanese colonial era (1910–1945). Although the city is a symbol of the painful history of Japanese exploitation through its shipping of rice to Japan, it has now transformed into a fascinating cultural destination, offering a wide variety of things to see and do in addition to retaining traces of its colonial past. 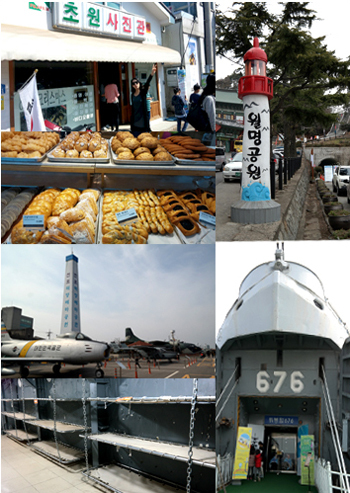 Moreover, Gunsan has become a popular walking tour destination, owing to the proximity of its historic downtown areas, which are located around Jangmi-dong, Wolmyeong-dong, and Sinheung-dong, with the city’s inner port at the center. Gunsan will allow you to travel back in time while you enjoy its diversely themed excursions, such as the old downtown walking tour, the modern cultural heritage stamp tour, and the Gyeongam-dong Railroad. 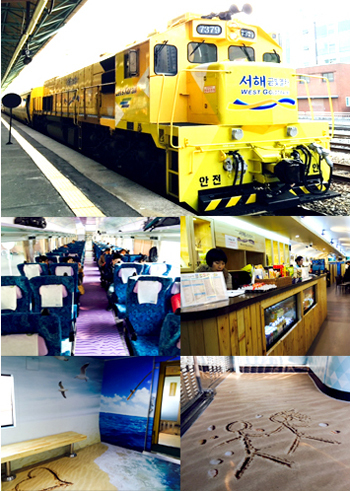 This tour will start from Yongsan station(Line#1). 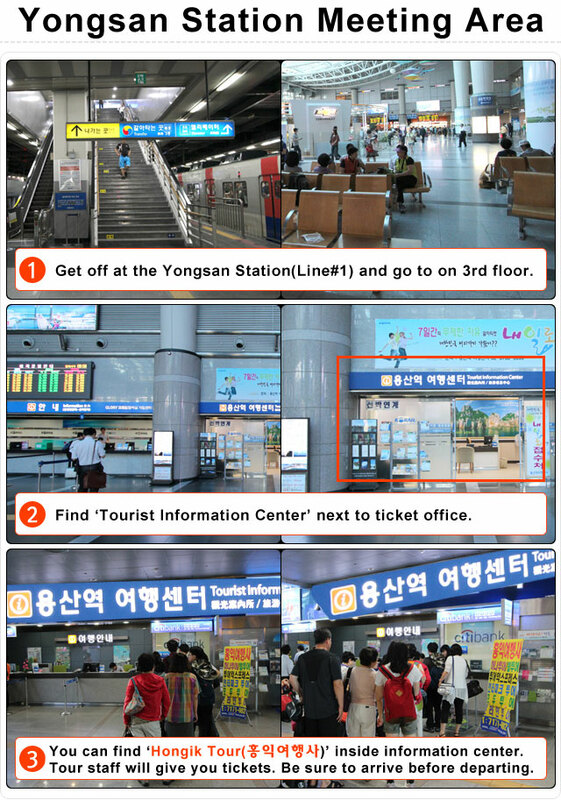 Please take your train tickets(Round-trip tickets) at the Yongsan Station at least 20minutes before departing. 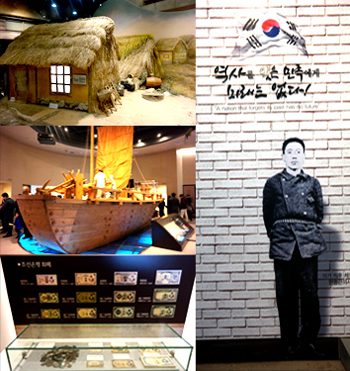 *Gunsan Modern History Museum: The Gunsan Modern History Museum, a symbolic space featuring a collection of modern cultural heritage items, is the starting point of a walking tour in Gunsan. In the areas surrounding the museum, you can explore the array of its heritage and the historic downtown one after another. *Hirotsu House: The Hirotsu House is a major modern cultural heritage site of Gunsan. The two-story house is a traditional Japanese wooden mansion erected by a Japanese merchant named Hirotsu, who accumulated great wealth in the Gunsan region under Japanese imperialism. 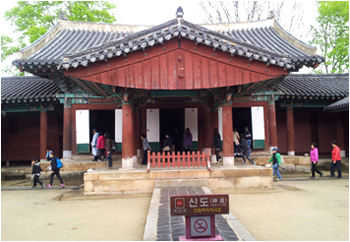 *Lee Sung Dang: It’s located near the Hirotsu House, is must-see places in Gunsan. Lee Sung Dang is a time-honored bakery that first opened in 1945. The bakery is best known for its danpat-ppang (sweet red bean buns) and yachae-ppang (vegetable buns). *Jeonju Hanok Village: Jeonju Hanok Village is located in the city of Jeonju and overlaps Pungnam-dong and Gyo-dong. 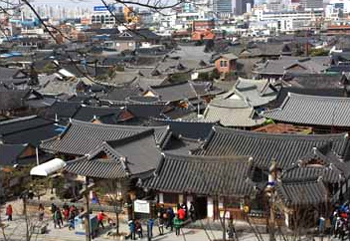 There are over 800 traditional Korean ‘hanok’ houses. While the rest of city has been industrialized, Hanok Maeul retains its historical charms and traditions. *Jeondong Catholic Cathedral : Jeondong Catholic Church in Jeonju (Historic Site No. 288) was built in honor of Roman Catholic martyrs of the Joseon Dynasty on the very same spot the martyrs lost their lives. The land was purchased by French Priest Baudenet in 1891 (28th year of King Gojong), but construction of the church did not begin until 1908. 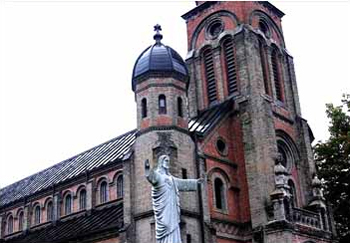 The church was designed by Priest Poinel, who also designed the famous Myeongdong Cathedral in Seoul. Construction was completed in 1914, a time during which Korea was under Japanese rule. Though originally built just outside of Pungnammun Gate, the site of the martyrs, the church was later moved to its current location for expansion.